I thought the congregation expected a full band, lights and the whole shebang every week or they would not come back. Not too long ago, my church lost the place we called home. The building we rented was scheduled to be torn down to make way for bigger and greater things. An endless search for a new building yielded no results. So we went mobile and are now meeting in a hotel conference room. In an effort to keep weekly setup simple, we ditched the vibrant LED lights and modern stage background. I thought the church would care that this was missing…but they didn’t. We continued to set up a complete sound system and use a full band. I thought if we didn’t have at least this, the congregation would complain and eventually leave. Several months in, I noticed the setup crew was getting a bit tired of the task. It didn’t help that we were in the middle of an Oklahoma summer. It was time to take a risk. I scheduled a Sunday with no sound equipment. We would worship with an acoustic guitar and a few vocals. No microphones, no amps, just raw, natural sound. After service, I was waiting for the complaints to come in and there were none. Actually, several people came up to tell me how much they enjoyed the change of pace. Turns out, I had dreamed up expectations. What I thought the congregation expected of me and the worship team, they didn’t. They were simply there for worship and community – the other stuff didn’t really matter. Don’t get me wrong. They enjoy when the full band is there and you can feel the sound. But if all the “production” is missing, they worship just the same. Is it time for you to simplify? I tell you this story to release you from expectations that don’t even exist. Am I saying you have to get rid of lights and sound equipment to have true worship? Absolutely not. But, if trying to be like another church is causing stress, it is time to simplify. Thanks for the comment, Marty. Glad to know it works for other churches too. This is such an incredible revelation! We recently have been kind of pushed into the acoustic sets bc of scheduling issues and things like that, and it’s cool to see the outcome! How did you help change the perspective of the band members (if you had to) that an acoustic set was ok? Or if you didn’t, how would you approach that if a comment or question came up from a band member? Hey Gabby – There was some concern from the band. But, I simply reassured them that although we were going to go acoustic on a regular basis, we would still primarily go full-band. It’s common for folks to feel threatened with change – they just need to know their gift will still be used. Hey Gabby, I can tell you as a regular worship band boogerhead musician, we want to be led with a vision. We want our worship minister to come in prepared for what he or she has planned, knows the songs (amazing how years after introducing a song, music ministers and musicians still don’t really know it), and ready to go. If you have a dream, people will follow. Hey Dan – thanks for the comment, but I have to ask, did you even read the post? The whole idea here is to release worship leaders from ‘expectations’ of the congregation. You make a good point though. What really matters is what God expects of us. Absolutely, I wouldn’t comment without first reading and re-reading the post 🙂 The closing thought, summarizing the article, is to release worship leaders from trying to emulate other churches. That was where I felt the article was missing a prime opportunity to re-direct worship leaders (myself included) away from trying to meet the expectations of our congregations TOWARDS trying to humbly meet the expectations for worship laid out by our God. Yes, variety is nice once in awhile, it is refreshing at times. There are usually many gifted church members that are willing to serve in the music area. It can’t turn into a one man/woman ‘show’. 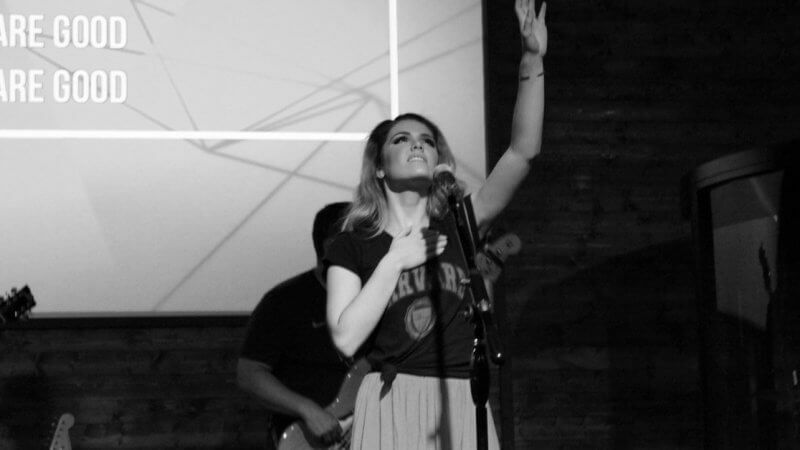 If the worship leader is truly seeking God’s will , a great music group will be ready to serve. Great points, Mema. Thanks for the comment! Our church has never had a “home.” Since the beginning we have either met in a conference center, and most recently we are meeting in the cafeteria of the local high school. We have tried in the past to have the full worship experience with larger productions, but, it never fails that the most engaging times of worship is when we strip it back and run an acoustic set. Not to mention the large scale setups are difficult when there are only a handful of people there to help set up. Love this. Thanks for the comment, Cory. Love this article! When I came to lead worship at the small church I am at now, the pastor said he wanted authentic worship however that looked and sounded. I had come from a large church with all the bells and whistles (and ten piece band). Over the last almost three years now, I have learned to be content with whatever we have from week to week. The one thing I have learned is God will bless authentic worship however it looks and sounds. I just got a worship leader position and they have much of nothing for equipment .that’s what I’ll be doing I can’t wait. Raw worship !!!! Awesome, Scott! You get to build it from the ground up.